BETHLEHEM (Ma’an) — The PLO Secretary General on Saturday said that new Israeli regulations authorizing forces to use live ammunition in occupied East Jerusalem expand the level under which the lives of Palestinians can be directly targeted. 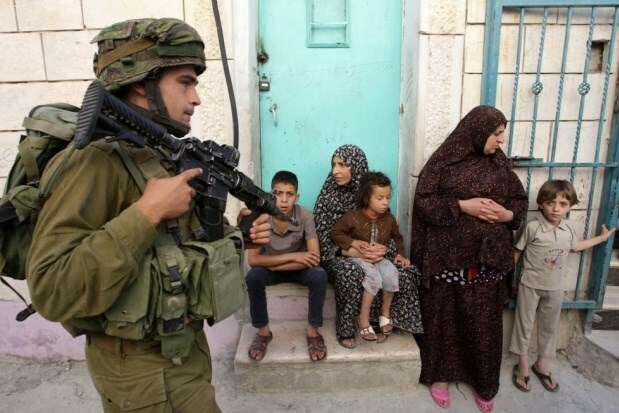 ____Israel’s security cabinet on Thursday broadened the rules whereby stone-throwers can be targeted with live fire, allowing Israeli forces to open fire when they determine that the life of a third party is under threat. ____”The Israeli government continues to incite against Palestinian lives, with a culture of hate that dehumanizes a whole nation,” Erekat said. 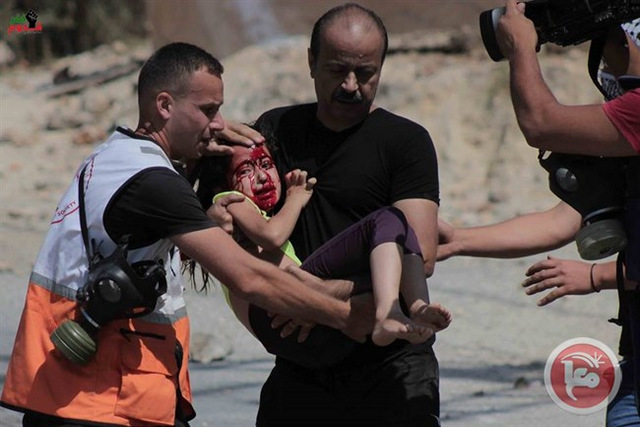 NABLUS (Ma’an) — The chief of police in the Nablus district and his three-year-old daughter were injured after being shot by Israeli forces with rubber-coated bullets on Friday during a raid in the village of Kafr Qaddum in Qalqiliya. ____A Fatah leader in Kafr Qaddum, Murad Ishteiwi, told Ma’an that Israeli forces directly shot at three-year-old Maram Abed al-Latif al-Qaddumi, injuring her with a rubber-coated steel bullet in the head while she was standing on a balcony in her home. ____Isheiwi added that when her father, Colonel Abd al-Latif al-Qaddumi, attempted to aid her and take her to the hospital in his car, Israeli forces opened fire, injuring him in the head. Palestinian medical sources have reported, on Friday evening, that three Palestinians were injured by live Israeli army fire in Teqoua’ town, east of Bethlehem. . . . The army also attacked, and wounded, two journalists near the northern West Bank city of Nablus. Cameraman Abbas al-Momani said that, as he and his team reached the main entrance of Beit Forik, the soldiers assaulted them, and smashed their equipment. He added that the soldiers also attacked, and injured, a foreign journalist . 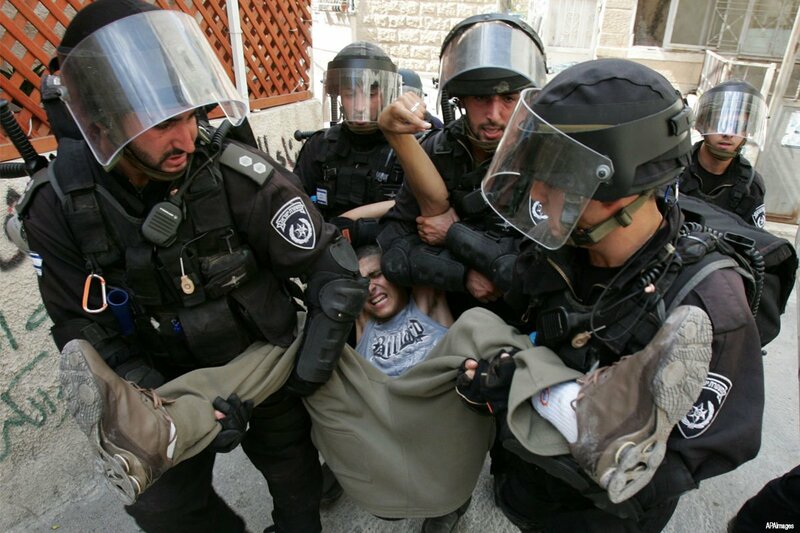 . .
Silwan, Jerusalem (SILWANIC) — The occupation forces arrested on Thursday early morning (first day of Al-Adha Eid) 8 Jerusalemites from the neighborhood of Ras Al-Amoud in Silwan and handed another a call for interrogation. ____Wadi Hilweh Information Center was informed that the occupation forces raided the neighborhood of Ras Al-Amoud and arrested . 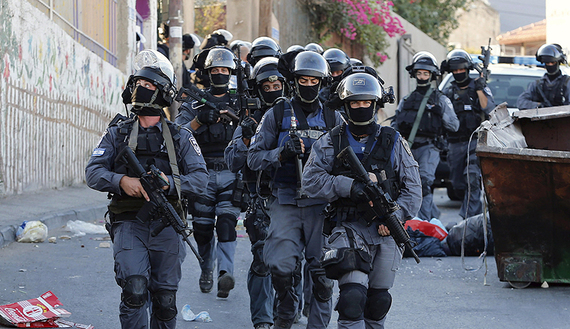 . .
____The locals explained to the center that the occupation forces fired a sound grenades and rubber bullets while raiding the courtyard of a house to hand the interrogation calls. ____Amjad Abu Asab, head of Jerusalemites detainees and prisoners families committee, explained that the forces also arrested 4 Jerusalemites from the village of Sur Baher. Could Israeli soldiers have arrested, instead of killed a young knife-yielding woman in Hebron? And what will happen to those soldiers if it turns out they shot when they didn’t need to? ____A young Palestinian woman was shot dead by Israeli soldiers in the occupied city of Hebron Tuesday morning, hours before the Jewish holiday of Yom Kippur and the Muslim holiday of Eid al-Adha. ____As usual, there are — at least — two conflicting narratives. There are also a number of details everyone agrees on. And the wounds of yesterday? You Arab! You are a dog! Why don’t you make way for the sun!! ** The Israeli town of Or Yehuda was established in 1950 on the lands of the depopulated Palestinian villages of Saqiya and Kfar ‘Ana. Jews from Iraq and North Africa settled there.